Two weeks ago I started using Puristry’s Vine Therapy Serum and Flower Water Toner. This is the first time I’ve used organic toner and skincare products, and it’s been outstanding. The difference I am feeling and seeing in my skin is amazing. I’ve always been a fan of “natural” products, but this is the first line that’s legitimately USDA organic. Pure ingredients are now all I will ever use on my face. This post is sponsored by Puristry and brought to you by Shopshare Network. All thoughts and opinions are my own. This is a unique line of skincare products because they’re not just natural; they’re USDA Organic. Thanks to her background of extensive research and formulating with plants, Susie Wang distinctly understands and utilizes each plant or ingredient’s unique biology. She doesn’t combine a bunch of natural ingredients and hope for the best–she knows the power behind one and what works well with it, and what doesn’t. This method delivers targeted nutrition to the skin. Puristry Flower Water Toner smells fantastic–like roses which relaxes me really nicely before bed. I use it in the morning too, under my makeup, and it feels great. I start the day calm and refreshed. The hero ingredient is organic rose water which is complimented by other flower waters and oils like calendula, witch hazel, honeysuckle, bergamot, cedarwood, vetiver, sage, and lavender. This anti-aging serum uses a powerful concentration of antioxidant-rich grapes and algae to replenish and restore the skin’s matrix. High in collagen-producing peptides, protective antioxidants, and hydrating humectants, this serum helps increase elasticity and helps improve overall skin health. Resveratrol is a chemical found in the skin of red grapes. It’s produced in response to injury or pathogens. There’s no proof that it works in us the same way, but it would make sense that it might. Worth a try in my book! Our skin is our largest organ. It’s constantly exposed to the harshest of environments–extreme temperatures, chemicals in our detergents, and all the abuse we put it through with the sun. To fight the aging process and just shoot for overall health, these organic products are the way to go. Try these organic skincare products for yourself! One lucky winner AND A FRIEND of their choice will receive the Complete Puristry Collection! ($536 combined value) All terms and conditions here. I am definitely a HUGE fan of organic beauty products. Simple and natural ingredients are always my first choice when it comes to cosmetics and beauty supplies! they look like really good products. Im always looking for new beauty products to try and buy. I’m game for anything organic especially when it comes to my skin care. 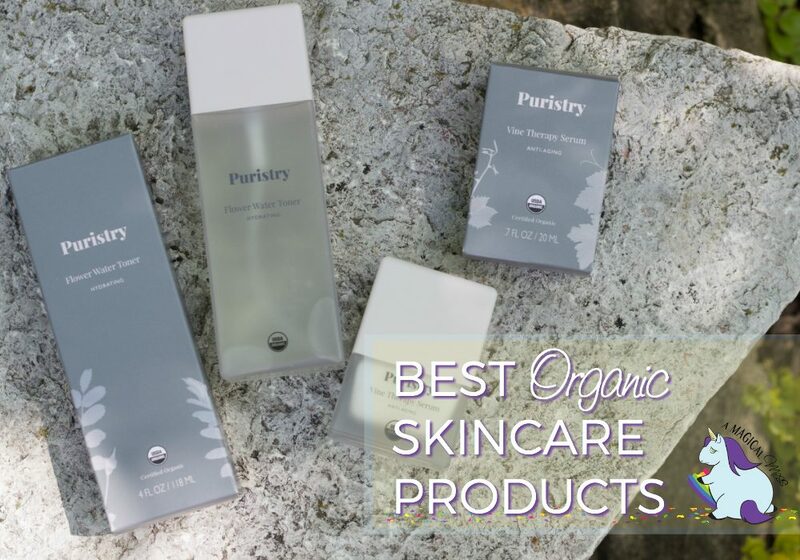 Puristry Organic sounds fabulous! Thanks for the heads up! I have not heard of this line before but organic and the smell of roses makes me interested in trying it. It is always great to use a product that makes your face feel good. I also like the fact that it is organic. I think that it is great that one of your readers have a chance at winning some as well. I’ve just started trying to find some anti-aging creams and things. Gravity isn’t as nice as it once was when I was younger haha. Thanks for sharing your tips and tricks! I was born and raised in arizona so I have sun damage and need to pamper and care for my skin! This sounds like a great product and brand to try to heal my skin organically. Ooh! I’m always looking for better products for my skin. I’d love to try these. Thank you so very kindly for the opportunity! enjoy your Holiday Weekend! I love trying new skincare and just in the past couple of years i have really informed myself on the importance of organic. That what you put on your skin is absorbed, so you certainly do not want to put anything filled with chemicals while trying to do good for your skin. This is a super giveaway , thanks for the chance! !